Hey there! How are you? 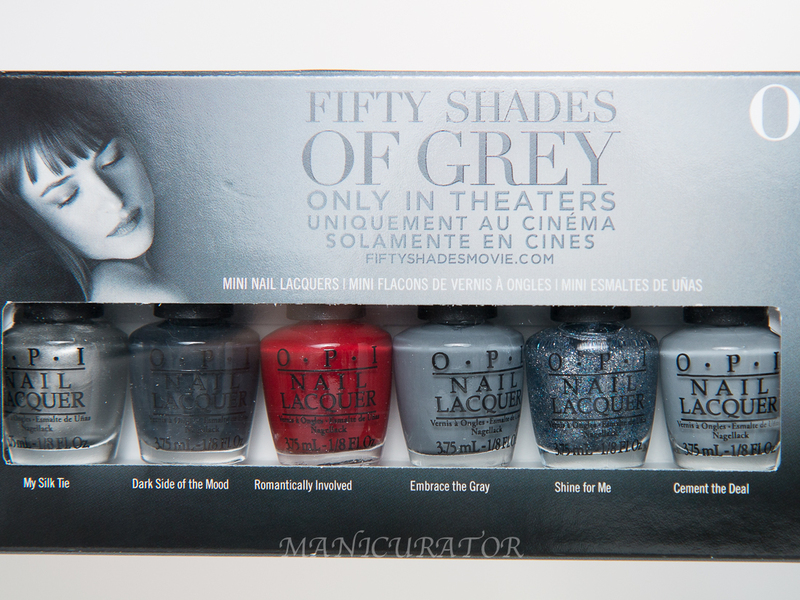 I'm happy to show you the remaining three shades in the OPI Fifty Shades of Gray collection. I used the other 3 to create one of my favorite manis ever!! Did you catch that one? If not you can check it out here. Be sure to enter the giveaway for the whole set, at the end of the post! OPI Shine For Me - dense mix of micro sliver and blue glitters. Can easily be opaque on its own but I chose to sponge it over the tips of the other two shades. I love how it looks like this! 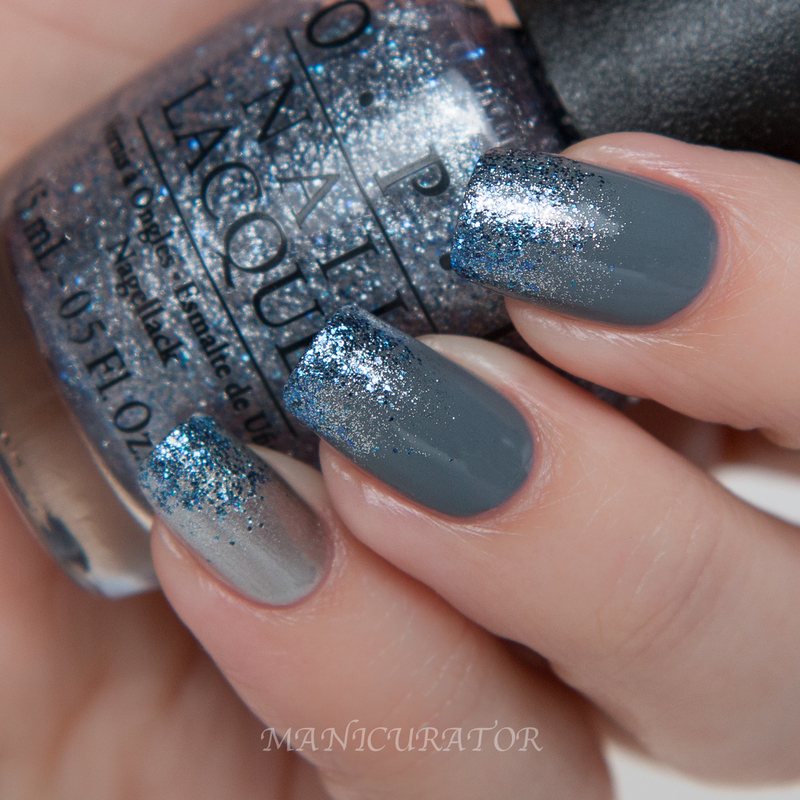 OPI My Silk Tie - A cross between a chrome and a super fine shimmer silver. Yep. Say it with me..brushstrokes. As far as brushstrokes goes..this one wasn't too bad but you will need to brush in a straight sweep down. Three coats here. 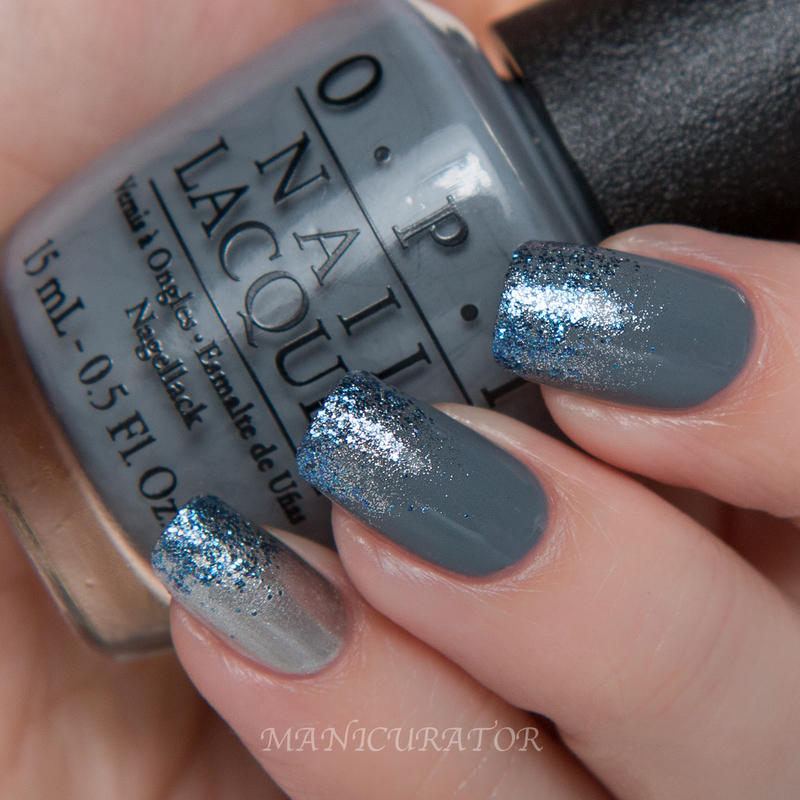 OPI Embrace the Gray - a cool toned mid grey. (This photographed a bit darker than it looks in reality) Is it gray or grey anyway? The name of the collection uses grey and this shade is gray. Either way, I like it!! Perfect formula and opaque in 2 cts. The only one I got from this collection (so far...because obviously I'm going to win the rest in your giveaway) is Shine For Me. I loooove it. And I'm totally going to copy your gradient tips because these are gorgeous. If I do happen to win, I'll save you the shipping costs and I'll just come get it! Wow, that gradient is absolutely perfect. I love how the tiny silver glitters pull together the base color and the larger blue glitters, how did you manage to do that?! Man, I can't get the bonus entries because it requires Instagram, I can't get Instagram. Thanks for the great chance to win your giveaway! I accidentally hit the button BEFORE I entered my email address on the entry asking for my EMAIL ADDRESS. Hope it's O.K. to put it here! It's gmindyg1@verizon.net. Thank you! Hope you get it! Sorry to hear it, Instagram is required for this one. I don't have that many greys in my collection so I bought the whole lot and LOVE this collection! Why is it that there are giveaways for something as soon as I buy it LOL. Beautiful mani! Such a pretty mani. 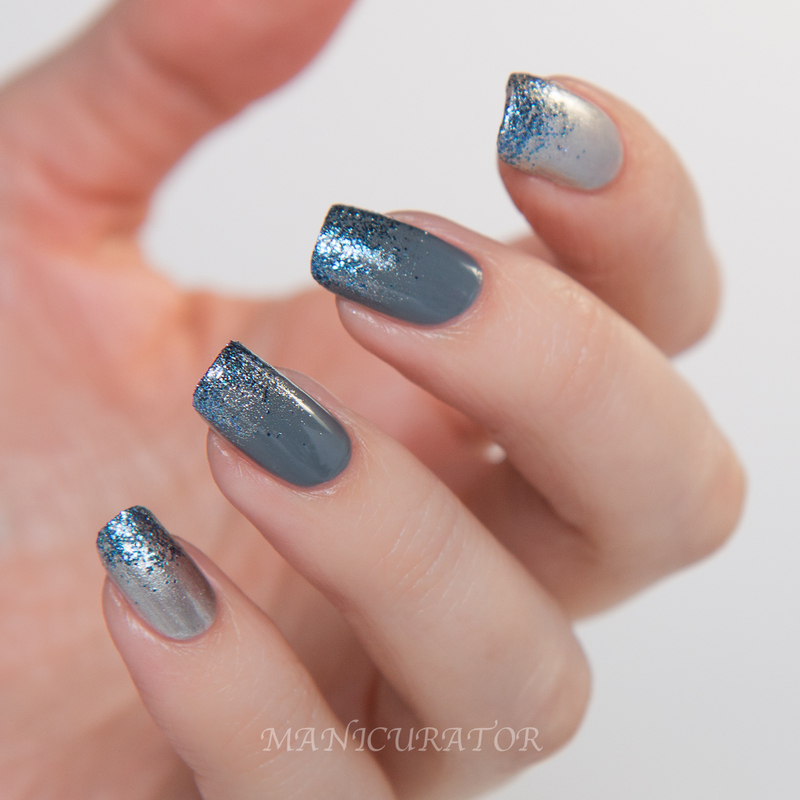 I like the greyish blue glitter on the tips! 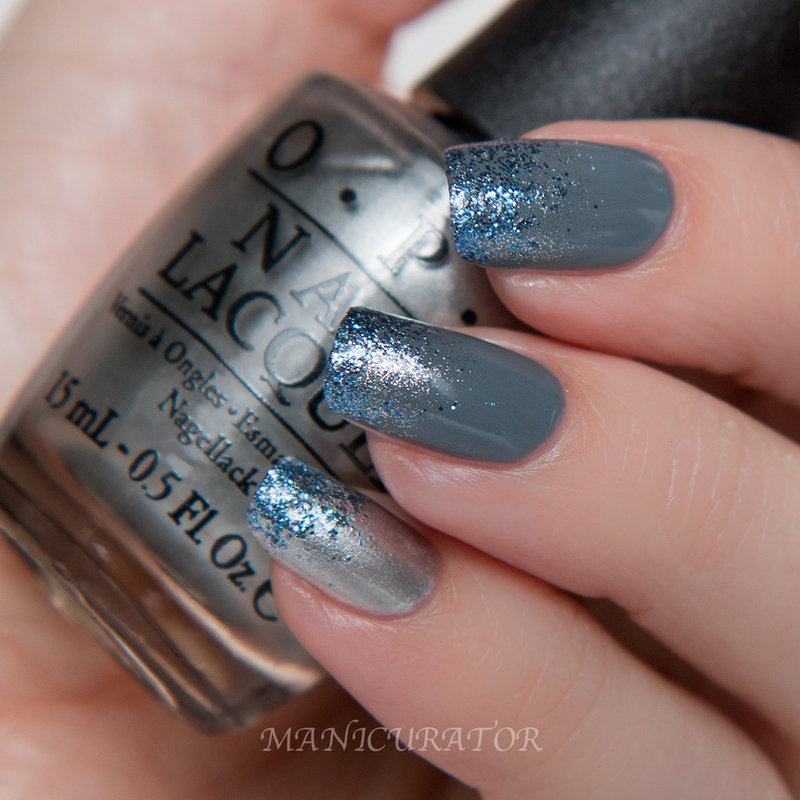 I really like how your mani came on... such fun with that grey color. I would not have done that or used that color but now I think I'll find some use. Oh wow, what an amazing manicure, loooooooove the glittery tips. The name Shine For Me... Eurgh. Totally beside the point. You made these look stunning! Love Shine For Me sponged over Embrace The Grey!! Oh my, the way Love Shine For Me looks sponged.. absolutely breathtaking! Perfect combination, such a great idea! Yes, I know, I said that. But while Instagram is free, it is NOT possible for everyone to get it. I have tried on my computer and it will not let me without getting a pay subscription to a different program that will allow Apps on a computer. Maybe make Instagram one of the extra entries, but not a required, in the future. This is not a request, just a suggestion. Oooh, that is so pretty! Now I'm regretting not getting that glitter! Thanks Elizabeth for your thoughts! Will definitely consider that for a future giveaway! Thanks for listening, especially after I got a bit grumpy.